If you’re looking for a sleek, sturdy concrete driveway, sidewalk, or patio that can stand the test of time (and manage to look great in the process), a concrete driveway is unquestionably the way to go. That’s why Sudlow Concrete is proud to specialize in custom concrete work for your outdoor (and one or two indoor!) home improvement needs in Atlanta. Sudlow Concrete also proudly serves all of Metro Atlanta and surrounding areas including Lilburn, Snellville, Roswell, Woodstock, Canton, Kennesaw, Peachtree Corners, Dunwoody, Marietta, Alpharetta, Duluth, Sandy Springs, Buckhead, Vinings, Decatur, Smyrna, Norcross, Stone Mountain, Austell and more. 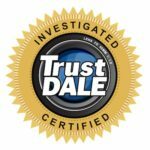 We are fully licensed and insured, and our skilled technicians make it possible to get top-of-the-line services at affordable prices. With over 20 years of experience in the industry and 16 as its own company, Sudlow Concrete is the premier service provider for all your driveway needs in Atlanta, including driveway replacement, driveway repair, decorative driveways, retaining walls, stone work, poured concrete, and much more. Our expertise and our dedication to quality work and great customer experiences have landed us numerous awards and honors, such as the Superior Services Award from Angie’s List, a 4-year-running “Best Of” award from Kudzu, and a five-star rating from Home Services Review. But the ratings and reviews that matter the most to us are the ones we get from you, which is why we’re honored to have hundreds of five-star reviews from satisfied customers. To get an exact idea of the high-quality products and services we offer, browse the rest of our website or contact us to get an inspection and service quote. We’d love the opportunity to exceed your expectations. We are dedicated to your satisfaction and offer a wide array of services for your convenience.